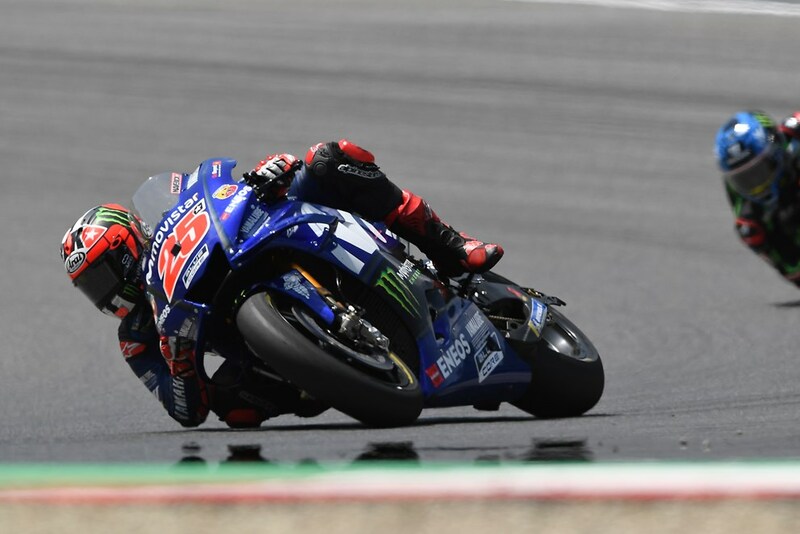 this race sees Vinales drop down to third in the championship standings, 5 points behind Rossi. These results keep Yamaha in second place in the Constructor Championship, decreasing the margin to first to 22 points, while the Movistar Yamaha MotoGP Team reclaimed first position in the team standings and now have a 15-point gap to the second team. "Today the tyre choice played a big part in the outcome of the Italian GP. We had to start the race with the harder spec because of the expected tyre degradation, but we knew this wouldn't be the option that provided the riders with the most grip. The tyre decisions didn't pay off until the latter part of the race. Maverick had a difficult start to the race. He suffered from a lack of grip and was pushed down the order. Once the harder tyres started working, he was posting consistent 1'48s and he was able to close the gap to the front group, but by then there wasn't enough tyre left for him to challenge the riders in front. Though it wasn't the perfect weekend we set out for, we can still be satisfied that we decreased the gap to our rivals in the riders' and constructors' championship and reclaimed first place in the team standings. We will continue to work hard at the next GP to pile on the pressure."